I love my farmer's market! When I started going, I wasn't really sure how'd I'd like doing the whole 'farmer's market' thing. It takes commitment to sell at a farmer's market and to build the trust of your customers that when they come to the market, their favorite farmer, baker, or artist is going to be there. As a farmer, it takes commitment to get up extra early every Saturday morning to do chores and feed animals before loading up. As a vendor, it takes commitment to be there even when your friends or family want to meet up for brunch. It takes commitment to be there even when it's freezing cold or blazing hot, there aren't many customers, or you aren't feeling well. In spite of all of these things (and more! ), I found I love coming to the market. I have found a community I thought I'd lost when I left teaching. I've made friends, have fun banter with customers, and it energizes me for the week. All of this has really been on my mind lately as our market has gone through some big changes. The Farmer's Market at Imperial has been located on the grounds of the Imperial Sugar Factory for the past 6+ years. The land and buildings are scheduled for a major remodel (apartments, offices, shops, restaurants, etc) and the current market location is to be bulldozed this month. When we were told in early November the market was closing, I was devastated. Where would we go? What would happen to this community? And then I witnessed a community coming together. A community of customers, vendors, city council members, and the City of Sugar Land all working together to ensure the market wouldn't close. Other options were put on the board, an extension of 6 weeks was given to sort everything out, community members stepped up to help the transition, and the market was saved! As of Jan 13th, the Imperial Farmer's Market has a new location!! 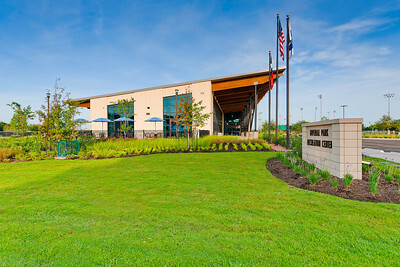 We are now located at the Imperial Park Recreation Center (234 Matlage Way, Sugar Land, TX 77459). So, while I know the market's vibe might change, I'm really excited this community I've found will still be around. I'll still get to see the grandparents who come to have breakfast and coffee with their grandchildren. The dog who walks his owner around looking for treats from his favorite vendors. The couple who like the market so much, they had their engagement photos taken while shopping at the market. The customers who have a one-track-mind to get their coffee FIRST before talking to anyone. The lady who looks lost, but always has a smile. The grumpy old man who follows his wife around every week and sneaks a treat to their dog when she isn't looking. The little old couple who look like Santa and Mrs. Clause and who are the sweetest people ever! If you're looking for community, join us every Saturday from 9am - 1pm at our new location. I hear the rec center has yoga, pilates, Zumba, and Judo classes on Saturdays, so you can make a day of it!